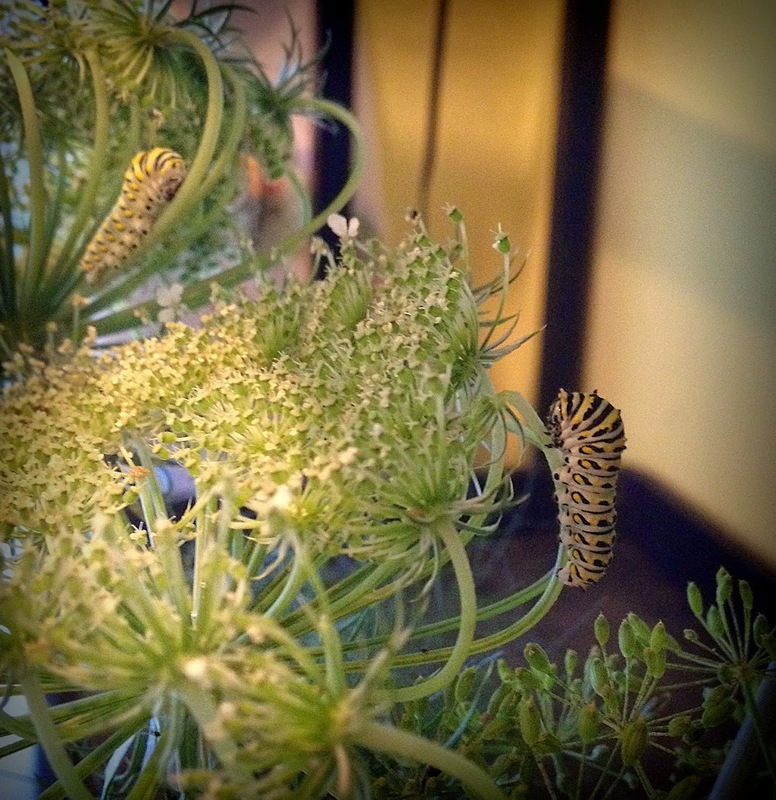 Last weekend I discovered six little black swallowtail caterpillars on my fennel plants. I was excited to find so many at once and decided that once my busy weekend was over, I'd bring them inside to watch them grow. This was Saturday night. 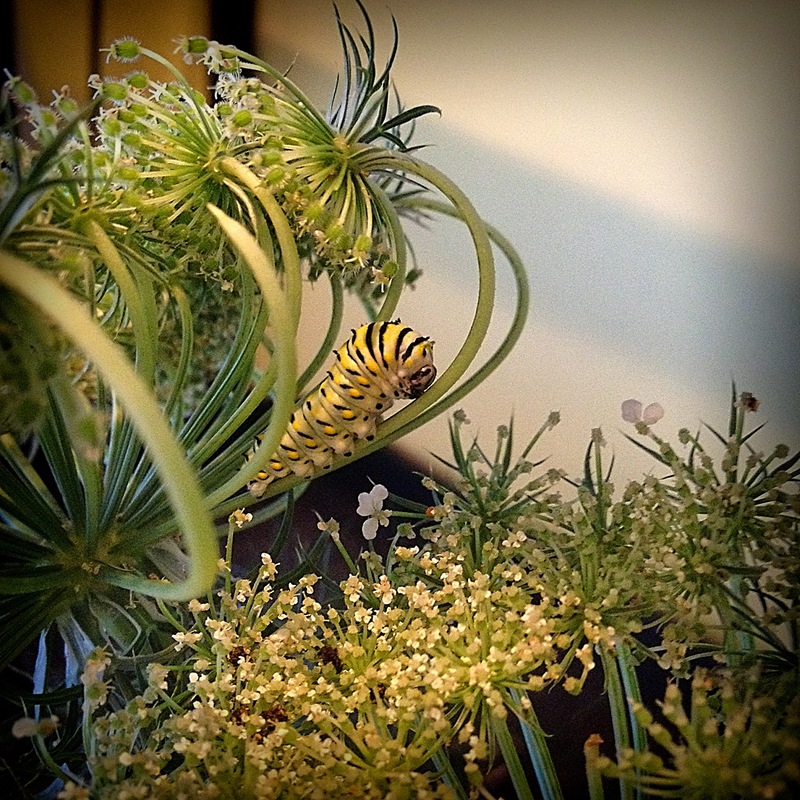 So after checking the fennel at least three times with no results, I decided to check my flowering carrot plants for black swallowtail caterpillars. 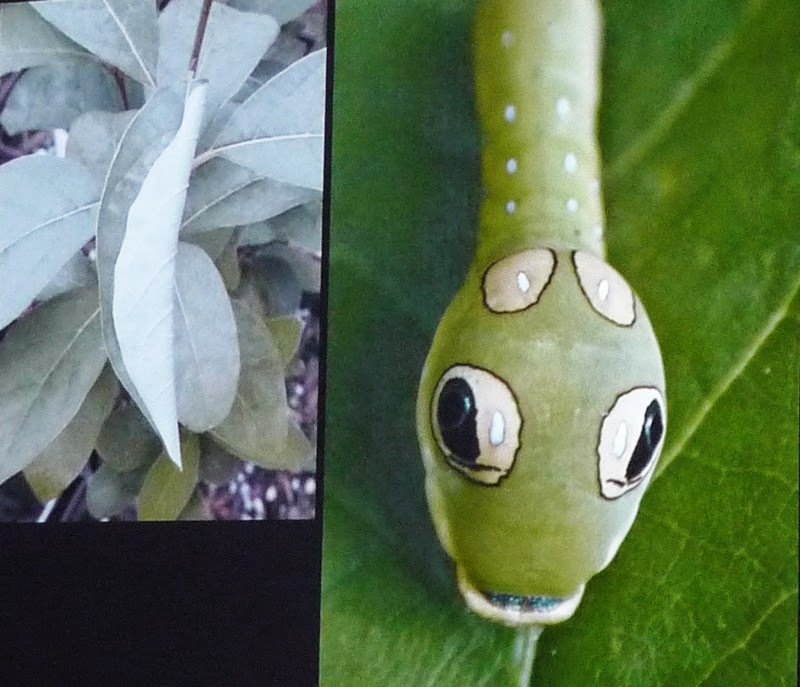 (Black swallowtail butterflies will also lay eggs on dill, parsley, parsnips and rue. The life cycle is explained in brief here.) I found three little caterpillars. This time, I wasn't taking any chances, so I snipped off the carrot flowers they were on, along with some fennel, put them in a mason jar filled with water and brought them inside. They have remained under my (dormant) growlights all week and have continued to grow larger. I feel bad about the six I lost, but at least these three will have a chance. Photo taken this morning with my iPhone. Two caterpillars resting this morning. Sad update: I lost all three of these caterpillars to a red parasitic wasp. The wasp must have laid eggs on the caterpillars while they were outside enjoying the carrot tops. Once they formed a chrysalis, the eggs hatched and took over. I was concerned because these caterpillars were taking so long to hatch. Then this past Monday, I came home to find two red wasps flying about in the aquarium I kept them in. In the pupas were holes where the wasps had burrowed out. This is not for the squeamish, that is for sure! 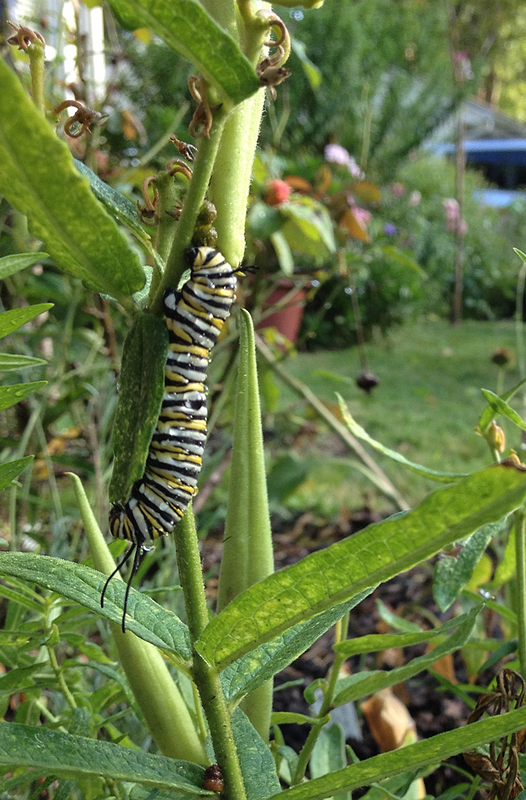 I lost my third caterpillar to the same circumstances two days ago. Very disappointing.